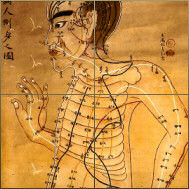 Every now and then, Dr (TCM) April Kim sends out a newsletter to let people know about the latest health advances and news to do with acupuncture. If you would like to hear about this latest news as well as updates about Dr (TCM) April Kim's practice, please enter your email address below. Dr (TCM) April Kim does everything to secure your email address and doesn't pass it onto third parties.